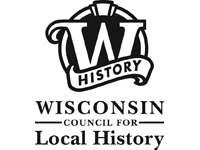 The Wisconsin Council for Local History is an association of over 400 local, county and specialized historical societies and private historic preservation groups that are affiliated with the Wisconsin Historical Society. 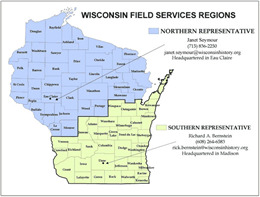 The Council promotes the work of local historical societies in Wisconsin and advises the Society on its services to local affiliates. A complete list of affiliated organizations appears in the Local Historical Affiliate Directory. In 1899, Reuben Gold Thwaites, director of the Wisconsin Historical Society, traveled by train to Green Bay and Ripon to participate in the affiliation of Wisconsin's first two local historical societies. Since then, more than 400 additional local societies and private non-profit historic preservation groups throughout the state have organized and affiliated with the Wisconsin Historical Society. Affiliated local historical societies and the Wisconsin Historical Society have a special relationship defined in the Wisconsin Statutes. The Society offers organizational and educational assistance to local affiliates. The local affiliates, in turn, share in the mission and responsibility of preserving Wisconsin's heritage. Local history groups become a member of the Council by becoming an affiliate of the Society. For information on becoming an affiliate of the Wisconsin Historical Society and a member of the Wisconsin Council for Local History, please see How to Become a Local History Affiliate. The mission of the Wisconsin Council for Local History is to promote communication and cooperation among local history groups. The Council provides opportunities for historical organizations in Wisconsin to discuss mutual problems and promote wider interest in local history. Through its Administrative Committee, the Council also advises the state Society on its local history programming and serves as a voice of local historians. Each year, the Council and Society organize regional meetings that offer educational programming, roundtable discussions and tours of the host organization's museum, sites, or historical features of the area. The Society and Council also partner to offer an annual mini-grant program and to plan the Local History - Historic Preservation Annual Conference, the largest gathering of its kind in the state. The Wisconsin Council for Local History will recognize and honor local historical societies and specialty museums; their individual members; and other groups, organizations or individuals who, through their efforts in the form of time, talent or treasure, contribute to the advancement, appreciation and preservation of Wisconsin's local history heritage. Learn more about the program and how to nominate individuals and groups here (PDF, 153 KB). The Administrative Committee is the Council's representative decision-making body. It is composed of a president and vice-president, a secretary, a treasurer, six members at large, one representative of the Society's Board of Curators and ten regional representatives. 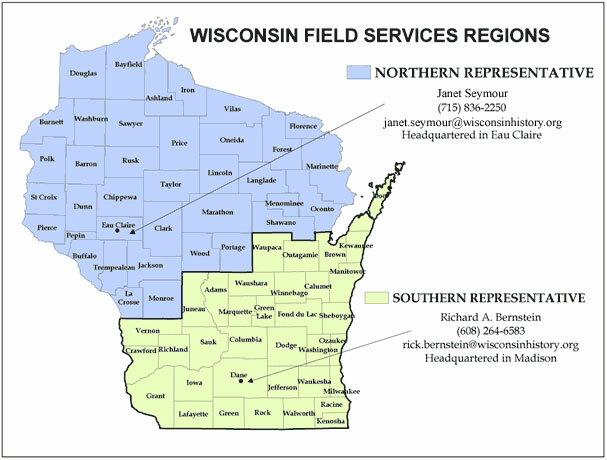 The director of the Wisconsin Historical Society and the Society's Field Service representatives serve as ex-officio members of the Administrative Committee. The Administrative Committee meets in the spring and at the state conference in the fall. The current Administrative Committee is listed below.